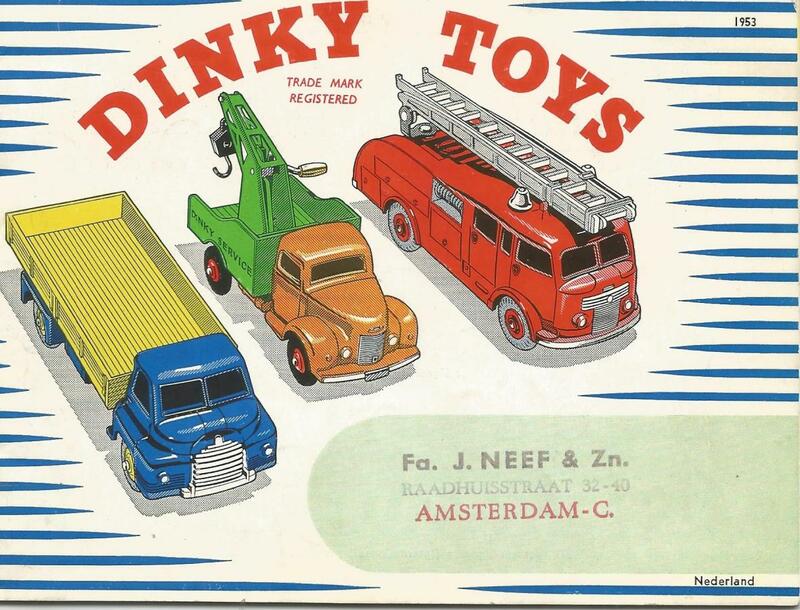 This week I received 3 Dutch DT catalogues with 3 different shop stamps from Amsterdam: 1950, 1953 and 1955. 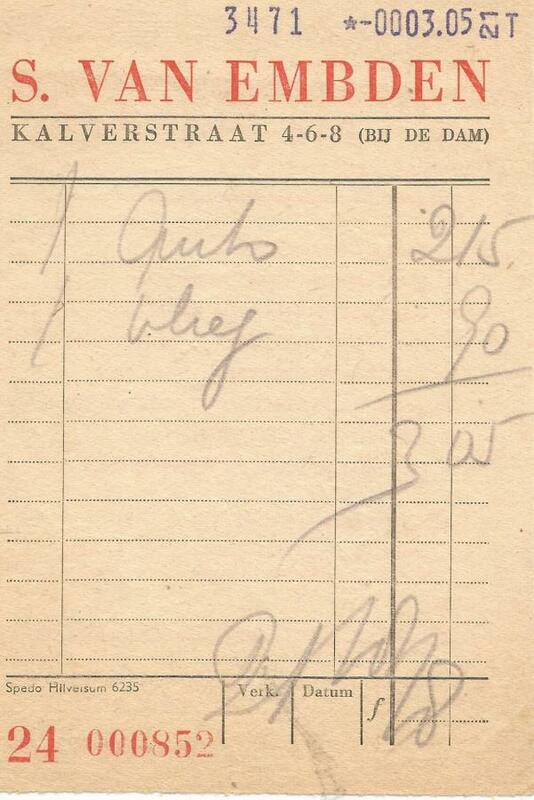 I wanted to buy a new Dutch 1950 catalogue because the 1950 of the photo besides my membership name is damaged and I have now renewed it. I bought these 3 catalogues in one purchase at a market place website for total € 50. That is a very reasonable price for these early catalogues with shop stamps. I think the seller does not really know the value of these catalogues. He immediately accepted my 1st offer. 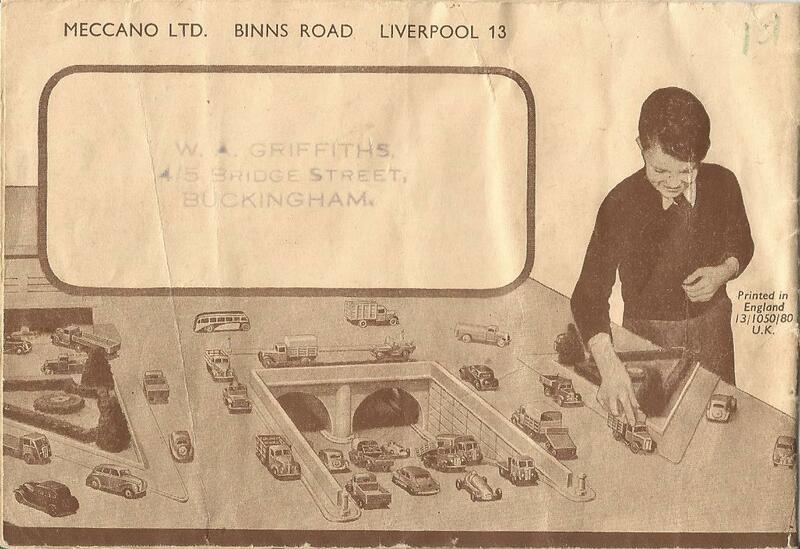 Special attention to the really very nice tunnel display layout on the back cover of the 1950 catalogue. 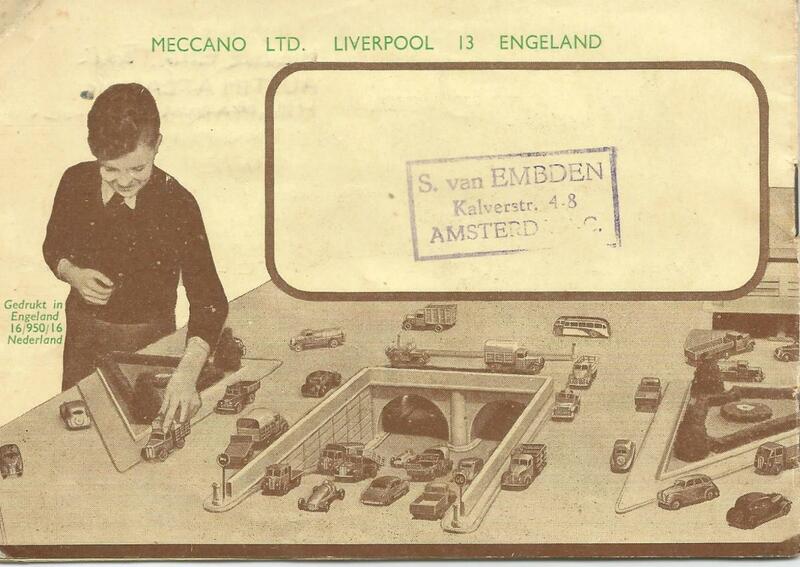 It is the mirrored representation of the back cover of the UK catalogue 1950 (See pictures). UK traffic on the left. Dutch traffic on the right. Which cars do we recognize on that display? Personally, I find the 27b Halesowen Harvest Trailer behind a Covered Wagon very remarkable. I think that they do not really fit together optimally in terms of scale. 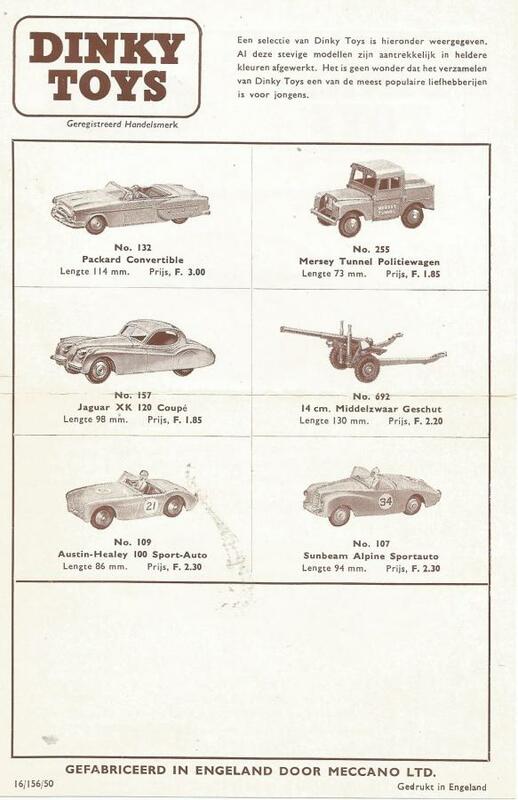 When I went to browse in the 1950 catalogue, I found to my surprise a bill for the purchase of a car for F 2.15 and a plane for F 0.90, for a total amount of F 3.05. 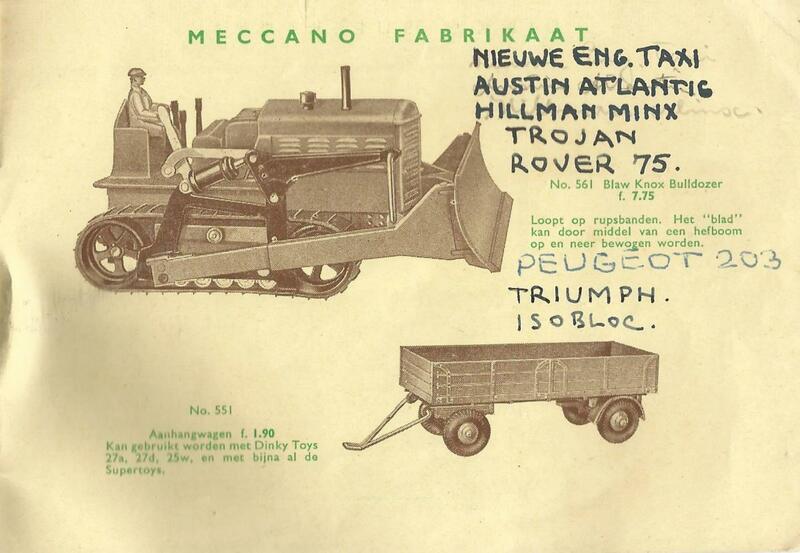 In the back of the 1950 catalogue I found notes of cars that the previous owner might have wanted or had purchased. I was curious which car and airplane could be bought at that time for that amount. 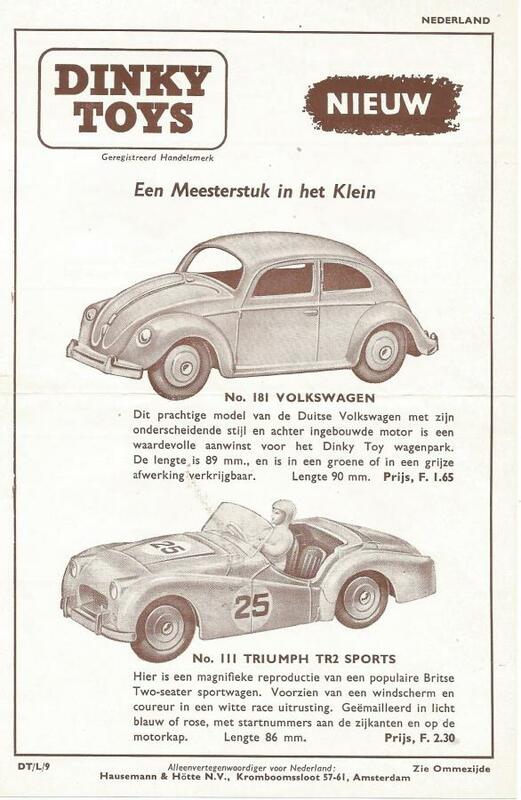 I went to search and found in my Dutch 1951 catalogue a 40h Austin Taxi for the price of F 2.15. 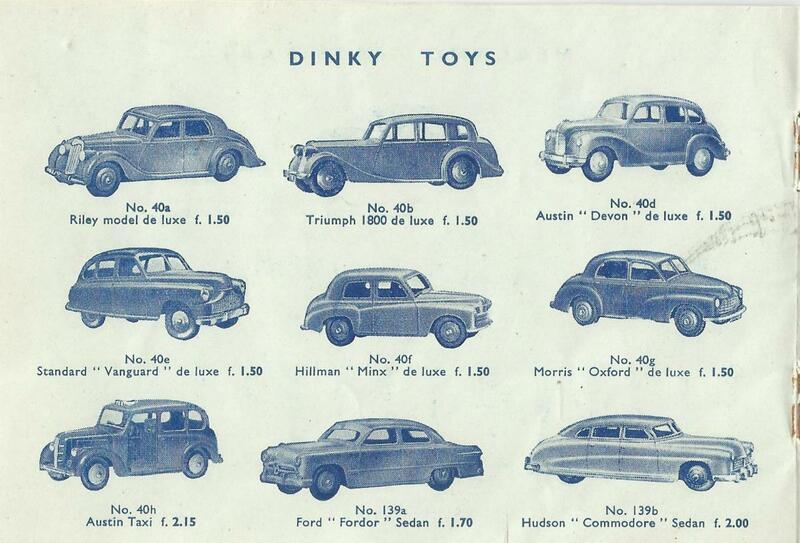 The Austin Taxi was also with a pencil written in the back of the 1950 catalogue. 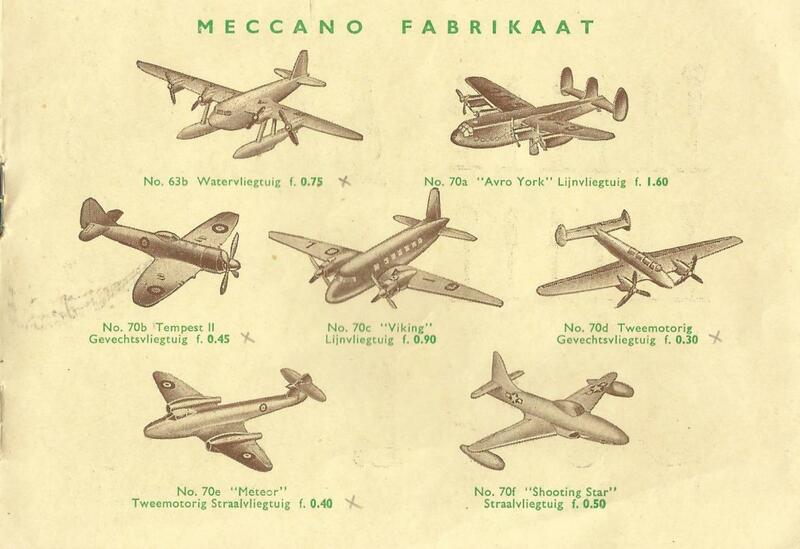 In the Dutch 1950 catalogue I found a 70c Viking Air Liner for the price of F 0.90. 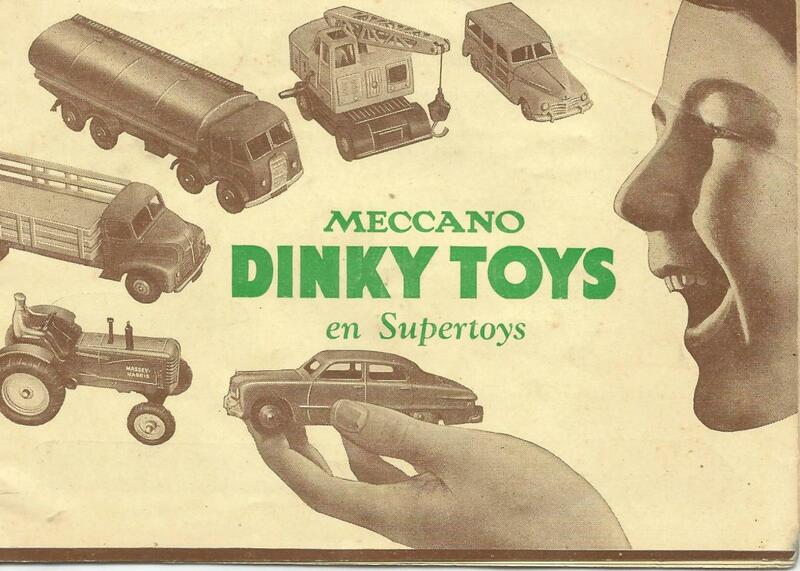 So I knew now which Dinky Toys were bought for that amount. 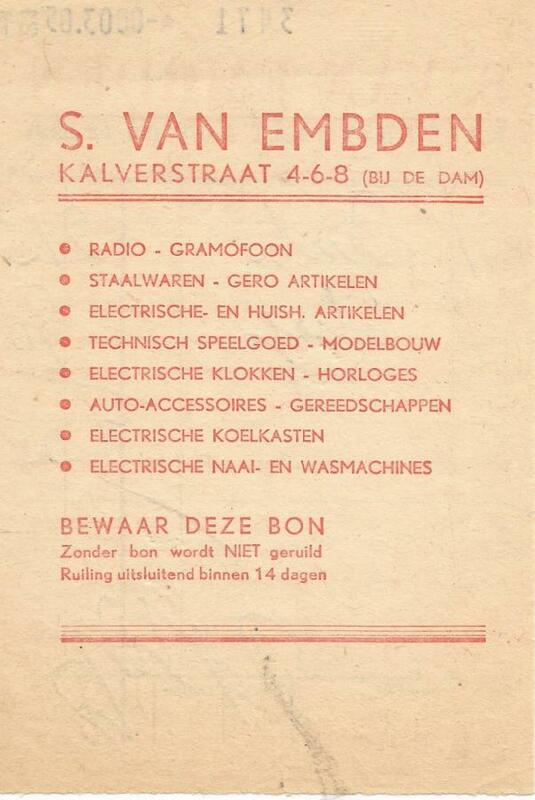 In that same 1950 catalogue I found, to my big surprise, also a very nice folded Dutch sepia leaflet from January 1956. In this way, I was given, to my surprise, a gift of this bill and a nice leaflet of the previous owner. 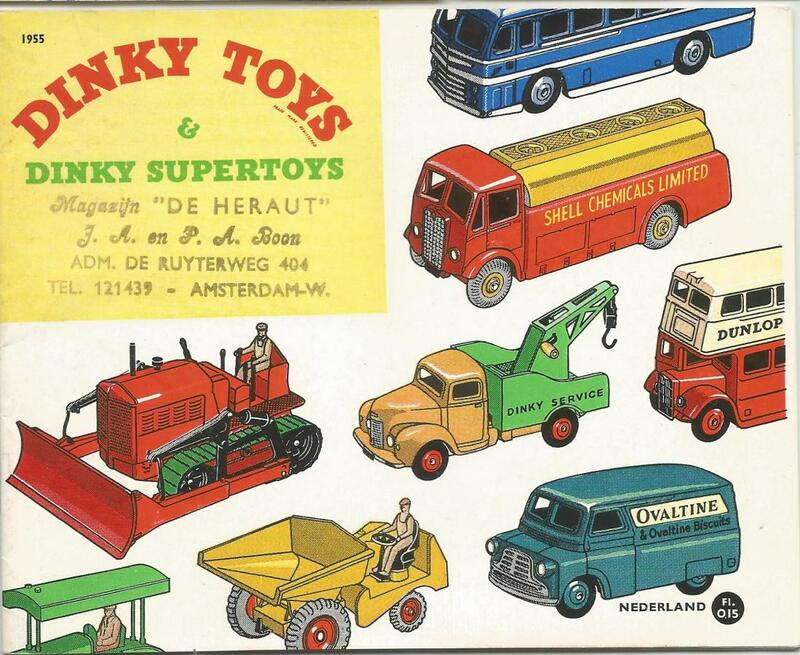 In this way this catalogue revealed to me a certain history of the previous owner, probably a boy born around 1940, while I am born in 1946. I like to share this story with you.